Get your Home in Preparation for El-Nino Rains this Season! If El Nino rainfall predictions are correct, this fall and winter could be the answer to drought-relief prayers. As with everything in life, however, be careful what you wish for. 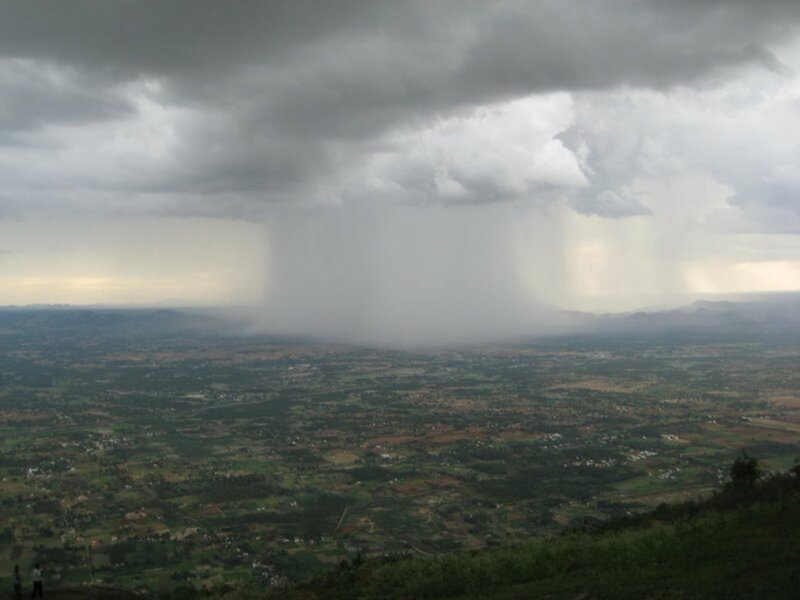 While there is a chance precipitation will be only moderate, there is also the possibility of powerful, drenching rainstorms that can quickly create trouble on many fronts. It’s time to get your head in the game. Preparing your house, your yard, your car and your insurance — now — can be the best hedge against an unpredictable season. Here are 22 tasks to consider to better position yourself against whatever challenges El Niño throws your way. 2. Clean out your gutters and downspouts — and then clean them again: Don Vandervort, founder of Hometips.com, an online home improvement information and instruction site, clears the debris from his gutters and downspouts before a potentially rainy season — and then does it again after the first rain. 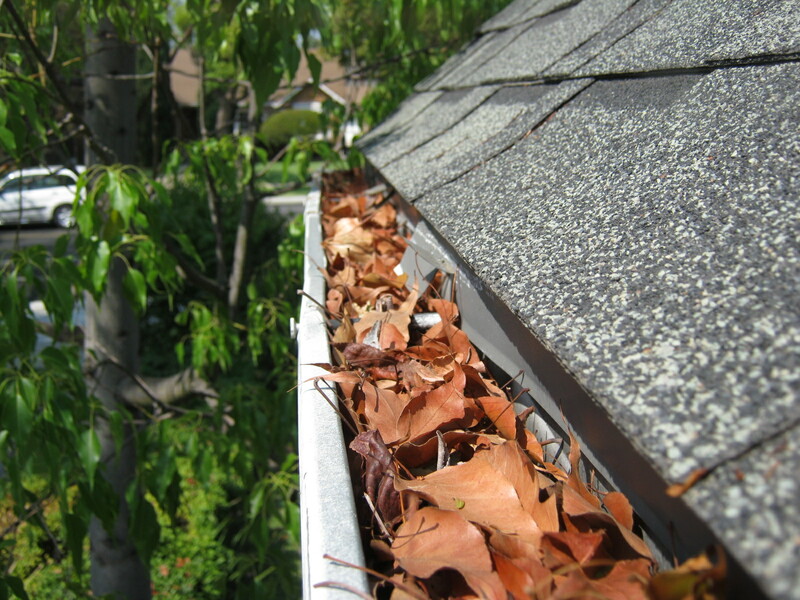 Also look for any breaks and make sure the gutters are tight against the roofline. While you’re at it, seal up any holes from cables and other wires that penetrate exterior walls. For more information go to www.hometips.com. Clean out your gutters and downspouts, and then clean them again. Don Vandervort, founder of Hometips.com, an online home improvement information and instruction site, clears the debris from his gutters and downspouts before a potential rainy season and then does it again after the first rain. Also look for any breaks and make sure the gutters are tight against the roofline. While you’re at it, seal up any holes from cables and other wires that penetrate exterior walls. 5. Paint the exterior wood trim of your home: Cracks in paint can carry water directly into the wood and promote dry rot and termite invasion. Paint before it rains. Painting exterior wood trim before heavy rains hit can protect it from getting wet and rotting. It can also seal it against termites. 10. Make sure your yard drains properly. If you’ve substituted impervious hard-scape, rock and decomposed granite for lawn in the last few years, the drainage pattern in your yard may have changed. Water that used to percolate through spongy grass will now flow. Landscape architect and USC adjunct professor Bob Perry advises placing 3 to 4 inches of organic mulch in beds and areas where water will drain or collect. If ponding becomes a problem, consider increasing the percentage of your yard that can absorb rainwater. Changes to the landscape may also have changed your property’s grading. Consulting an irrigation and drainage specialist can short-circuit any serious problems a heavy storm might cause. 11. 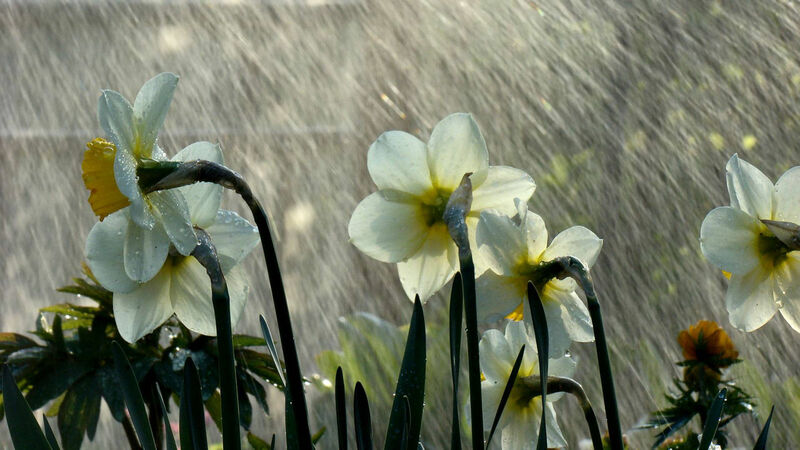 Turn off your automatic watering system: It’s possible you won’t need it until spring. 12. Consider installing rain barrels at downspouts: Rain barrels are a relatively inexpensive way — and an easy DIY project — to capture water coming off your roof for later use. Make sure you direct any overflow from the barrels away from the house. 13. Plant winter vegetables in raised beds or elevated rows: Too much water can cause vegetables to rot. 14. Loosen compacted soil: Ground that has been allowed to dry out will repel water initially. Tilling in compost and covering with mulch will enable the ground to better absorb rain. 15. Have your trees checked: With the drought taking a toll on all trees, now is the time to bring in a certified arborist — not a simple tree cutter — to do a health check and risk assessment. “Trees weigh less now because they have less moisture in them, but they are weaker as well,” says Nick Araya, an arborist risk specialist at TreeCareLA. “A sudden onset of moisture may be too much weight for some branches to bear.” For more information, go to www.treecareLA.com. 16. Secure your yard: Reinforce your fencing if needed. Store or tie down anything that might blow and cause damage in high wind. Store outdoor furniture or, if it cannot be moved, place wood planks under the legs to lift them off the pavement. Cover glass-top tables with plywood secured with cord. Place potted plants in a sheltered area. 17. Have materials on hand to divert water: Sandbags, concrete edgers and straw-waddle tubing can effectively channel water away from structures to drainage areas. 18. Talk to your neighbors: If your house lies below another house, you’ll want to find out where their property drains. If they’ve changed the natural flow path, they may be liable for damage caused by storm runoff from their property onto yours. 19. Consider flood insurance even if you’re not in a high-risk area: “Twenty percent of people who file claims come from non-high-risk areas,” says Mary Simms, spokeswoman for the Federal Emergency Management Agency’s Region IX, which includes California. 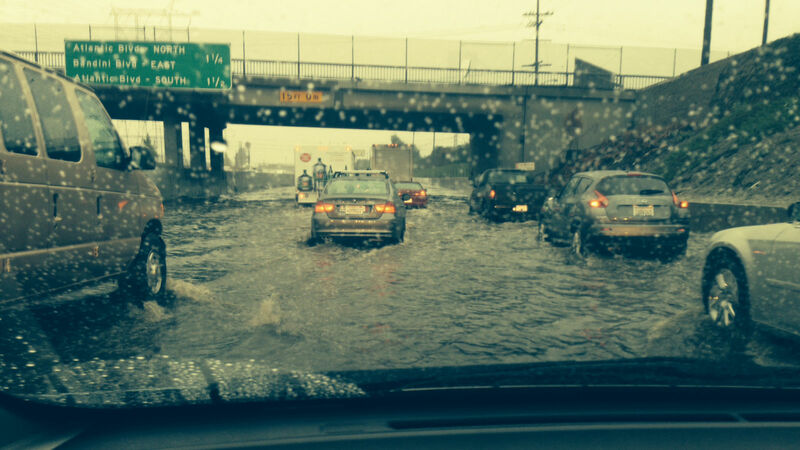 Flood insurance is not generally covered by regular homeowner policies. By congressional mandate, FEMA, through its National Flood Insurance Program (NFIP) and along with industry partners, makes flood insurance available. For more information, to go FEMA’s www.floodsmart.gov site. It takes 30 days for any flood policy to become effective. 20. Put together preparedness and disaster supply kits for your home and car. FEMA, the California Department of Water Resources and the Auto Club are just three of many organizations that list important things to have on hand. For more information, go to www.floodprepareCA.com (California Department of Water Resources), www.ladbs.org (Los Angeles Department of Building and Safety “Homeowners Guide for Flood, Debris Flow and Erosion Control”), www.ready.gov (National Weather Service) and www.aaa.com (Automobile Club of Southern California). 21. Check out Flood Awareness Week, Oct. 19-24: The state Department of Water Resources is sponsoring a weeklong flood awareness event in partnership with the state agency California Volunteers. In addition to encouraging neighborhood groups to coordinate emergency plans, DWR offers on its new www.floodprepareCA.gov website information, search tools and a calendar of flood-preparedness events across the state. 22. Prepare now: Experts agree that the toughest time to find solutions to rain-related issues is during a rainstorm.